At the time that Facebook said it would investigate the applications that live in its platform after the Cambridge Analytica scandal, we all knew that it was possible that more similar cases would occur. Now it's the time of the application «MyPersonality», a tool that asked users about psychological aspects and that was used by six million people around the world, half using their Facebook accounts. The shocking news has been revealed in an investigation by the British media New Scientist, which ensures that both Facebook and the Government of the United Kingdom is already investigating this "app", also created by a team associated with the University of Cambridge that saved not only the data obtained through the tests, but also shared with other researchers in a web with "insufficient security”. Thus, you only had to register as collaborators of the project, an action that was undertaken by more than 280 people from 150 different institutions. And it was not only academics but also companies such as Facebook, Google, Microsoft and Yahoo. The only condition was to remove names and personal data from this information package. In the case of companies, they "donated" the data provided they agreed to comply with strict procedures to protect them and did not earn money directly from them. However, nobody seems to have verified this. In fact, as explained in New Scientist, it was as easy to access the data as finding a user and password that was available on the Internet with a simple search on the network. "This type of data is very powerful and there is a real potential for misuse," said Chris Sumner of Online Privacy Foundation. The UK's data control agency, the Office of the Information Commissioner, assured New Scientist that it is investigating the matter. The platform has been active since its creation in 2007 until last April 7, when Facebook began the "screening" among the applications that had accumulated the most data. The news coincides with the day that Facebook has announced that it has blocked a total of 200 applications of the style of "This is your digital life", which allowed the massive filtering that has undermined the credibility and trust of the users of the social network devised by Mark Zuckerberg. 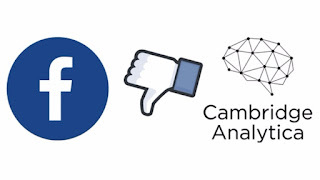 By May 7th, ABC reported that “while one in four Facebook users have reduced their activity on Facebook or have even suspended their account after the scandal of the irregular acquisition of data from the social network that has involved the Cambridge Analytica study institute, the remaining three quarters remain as active or more”. After this new investigation, will Facebook popularity continue to decline? According to a recent survey, there are more Facebook users who say they know how to protect their personal information than those of other social media platforms like Snapchat, Instagram, Pinterest and Tumblr. 74% of Facebook users said they knew their current privacy settings, and 78% said they knew how to change them. But, will this be enough?